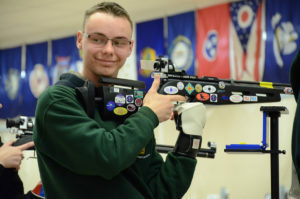 TALLADEGA, Ala. – Anthony Kissik, 15, of Matthews, Ala., one of only two junior competitors in the Talladega 600 M16 Match, rose to become the overall winner as he topped the entire field of competitors with a score of 383-16x. 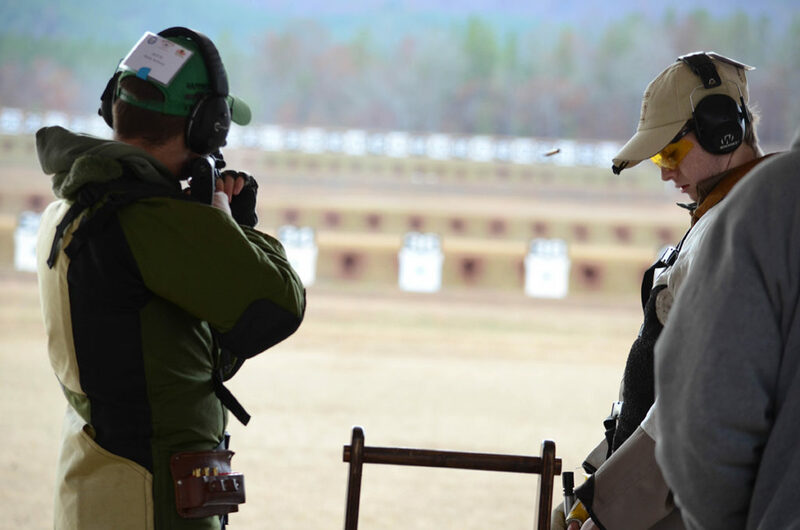 The event was conducted by the Civilian Marksmanship Program (CMP) at the organization’s multi-million dollar Talladega Marksmanship Park in December. 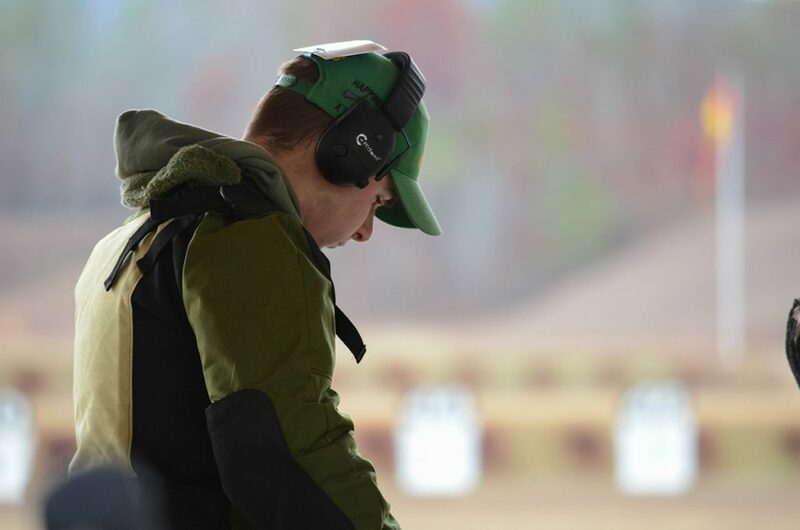 With his win, Kissik received his first EIC (Excellence-In-Competition) leg points on his journey towards earning his Distinguished Rifleman Badge – a pursued honor for competitive marksmen. With his win in the M16 Match, Kissik earned his first EIC leg points towards earning his Distinguished Badge. After the match was over, he went right to the results board to see where he landed amongst the mixed line of novice and skilled competitors. He started from the bottom of the results list and worked his way up. As he got closer and closer to the top and still didn’t see his name, he realized he must’ve finished even better than he thought. Then he saw it – “Kissik, Anthony” – with no names above it. “I get to the top, and I thought ‘There we go!’” he said with a laugh as he cheered with a fist pump, reliving the moment. Anthony “Dawson” Kissik was the overall winner, beating out his adult competitors, in the M16 Match during the 2016 Talladega 600. 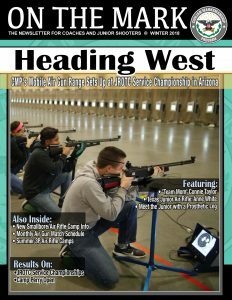 Last year, Kissik, who usually goes by his middle name, Dawson, missed the EIC cut mark by only a few points, slipping in his prone rapid stage. It was a mistake he was determined to avoid at the 2016 event. 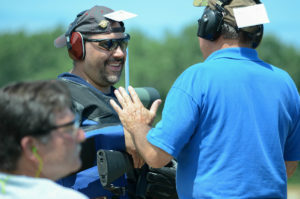 The M16 EIC Match is fired at the conclusion of the CMP’s Small Arms Firing School – an introductory clinic designed to instruct new and veteran marksmen on rifle safety, fundamentals and technique. 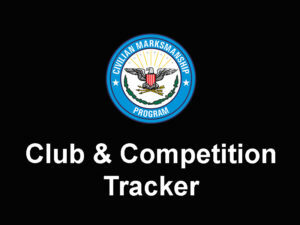 The EIC match gives competitors the chance to earn their first four leg points towards the 30 points needed to earn a revered Distinguished Badge. 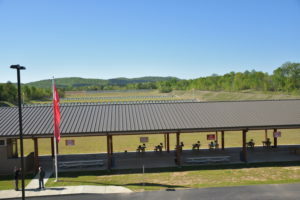 Kissik has made a home at the CMP Talladega Marksmanship Park and even knows the staff on a first-name basis. 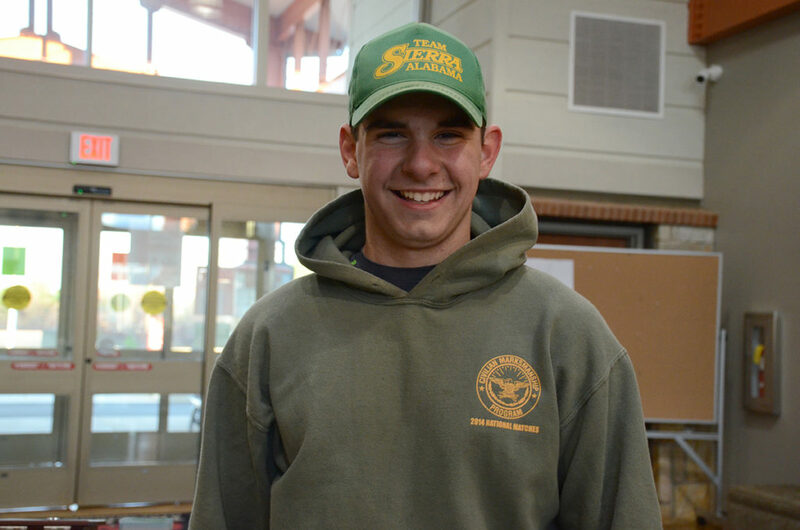 A state-level champion, Kissik began his marksmanship career on his sporter 3P air rifle team. 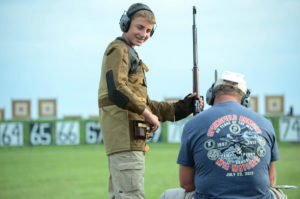 He became active in highpower rifle after his coach informed him of a high school that was starting a junior team called the Virginia Junior Marksmanship Program. He was eager to try his hand at highpower and quickly showed interest in joining the team. Soon after, he attended his first match at Fairfax before heading to Quantico in the summertime. 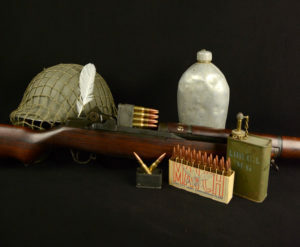 Fresh off the air rifle firing line and propelled into highpower, it didn’t take long for Kissik to discover the importance of proper equipment in his new discipline. Kissik and Jackson Umlauf (right) are currently trying to get their own junior team started in Alabama. 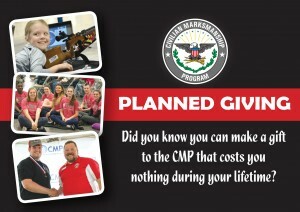 He attended his first National Matches at Camp Perry that same year as the youngest member of the team at just 13. There, the charismatic young man learned even more from his own encounters as well as from the more experienced marksmen surrounding him. “I love hearing the stories and getting all the information from everybody, and, this is going to sound a little selfish, I love getting those ‘He beat me, but he’s 14? What?’” he said with a laugh. “But I enjoy getting the information and learning what everyone else has to say. Through highpower, I know people all over the country, from Virginia, to Alabama, to Iowa, and I even know some kids in California, so I love meeting people too. I love it,” he added. 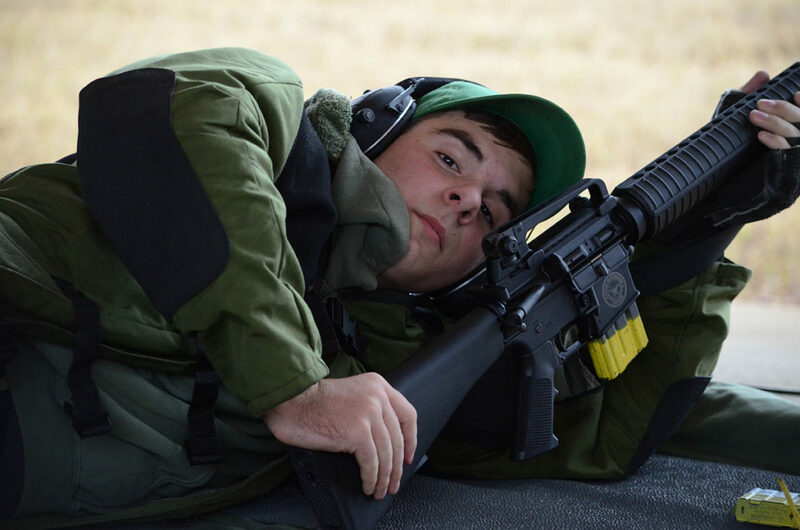 With a new appreciation for highpower, Kissik has worked to hone his skills further by making himself at home at CMP’s Talladega Marksmanship Park. “We come here so much I know all of the staff by first name. It’s great,” Kissik said with a smile. 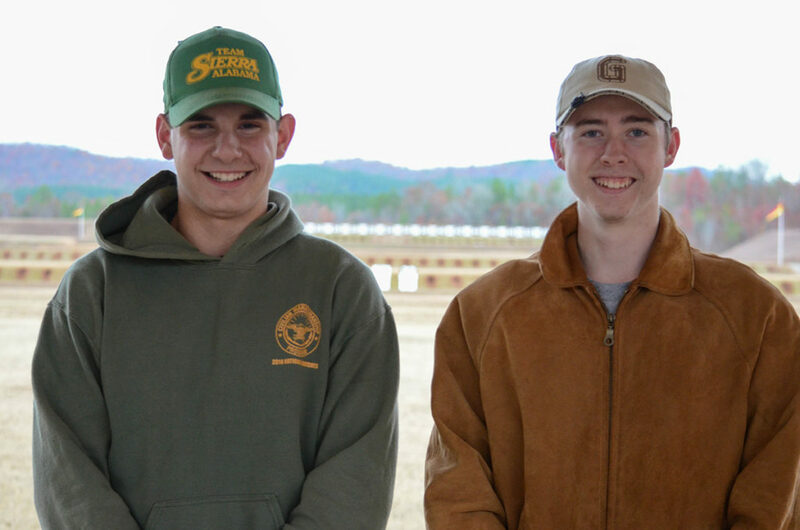 Kissik (left) and Umlauf (right) were the only two juniors to fire in the M16 Match at Talladega. Today, he and Jackson Umlauf, the second junior who fired alongside Kissik at the Talladega 600, are trying to recruit more local juniors in Alabama to get their own team started. 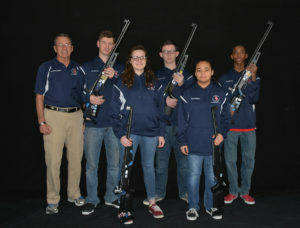 Additionally, Kissik is sticking to air rifle – attempting to reach the National level this year and eventually join a collegiate team. 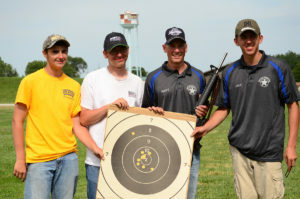 As another personal goal, Kissik hopes to someday outshoot his coach, Sam Richardson.